Anyone who’s owned or operated a two-stroke string trimmer, chainsaw, blower or other piece of equipment has been there before. You repeatedly pull the starter cord and adjust the choke, but it’s still hard to start. And, when it finally fires up, it runs rough and threatens to quit. Hard-starting, rough-running equipment is not only frustrating, it lacks the power to work as efficiently as you want. Heavy carbon deposits in the exhaust port and on the spark arrestor screen are often to blame. Here’s how it works. Internal combustion engines require a steady supply of air to run properly and produce maximum power. The engine draws air through the intake and burns it, along with the fuel/oil, in the combustion chamber. The moving piston expels the exhaust gases through the exhaust port and spark arrestor screen on the muffler. In a properly running engine, this happens thousands of times a minute and goes unnoticed by the operator. 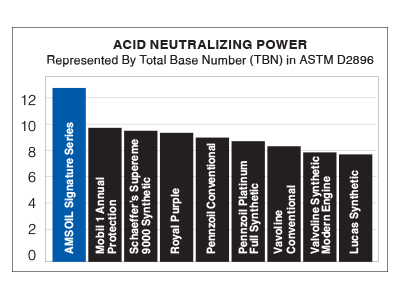 Two-stroke oils with poor detergency properties, however, can allow carbon deposits to build-up in the exhaust port and on the spark arrestor screen. Carbon chokes off airflow, which causes the engine to slowly lose power and run poorly. Soon, it becomes hard to start or fails to run altogether unless you clean the exhaust port (which requires removing the muffler) and spark arrestor screen. Most operators don’t want to waste time cleaning deposits, especially busy professional landscapers who need to complete jobs quickly and efficiently. 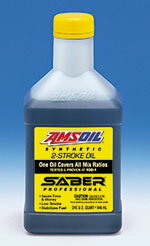 AMSOIL SABER Professional Synthetic 2-Stroke Oil is proven to solve this problem. It features excellent detergency to fight power-robbing carbon deposits and keep exhaust ports and spark arrestor screens clean for easy starting and maximum power. 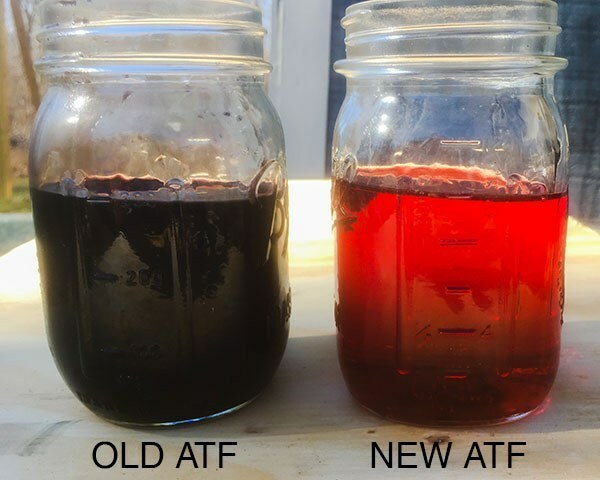 As the images show, SABER Professional mixed at 100:1 nearly prevented deposits, while ECHO* Power Blend* XTended Life* Universal 2-Stroke Oil mixed at 50:1 resulted in heavy deposits and considerable airflow loss. In fact, heavy deposits on the screen from the string trimmer using ECHO Power Blend (see image) prevented the trimmer from starting, requiring the screen to be replaced. See the full test results in the ECHO 100:1 String Trimmer Technical Study. 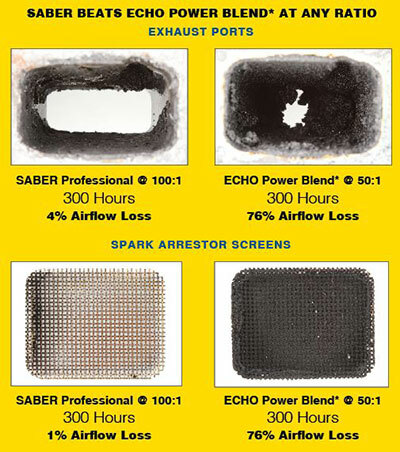 Results prove that SABER Professional mixed at 100:1 fights carbon deposits better than ECHO Power Blend at 50:1 while also delivering outstanding wear protection. By using a 100:1 mix ratio, SABER Professional provides the added benefit of cutting oil costs by 50 percent or more compared to using a 50:1 mix ratio. Experience the SABER’s edge and ensure your two-stroke equipment starts easily and runs strong. Note: Test results shown here describe and represent properties of oils that were acquired in November, 2016. Results do not apply to any subsequent reformulations of such oils or to new oils introduced after completion of testing. All oils were available to consumers at the time of purchase. Testing was completed in January 2017.